What do you know about Ralph Lauren? Do you know he’s an iconic American fashion designer? Certainly. Do you know that his birth name is Ralph Lifshitz? Probably not. Do you know that he’s built a multi-billion-dollar global company? Maybe – Maybe not. What’s there to know? Ralph Lauren, the man and the brand, is a huge success – achieved by reinventing himself and reinventing fashion. Last week was New York Fashion Week. The major fashion designers stuck with the traditional way of marketing, using the “runways” to spring their new designs. All, that is, except for Mr. Lauren. He chose to be “fashionably different.” He chose to reinvent how he premiered his new collection. While the others strutted their fashions, Mr. Lauren created an “experience” for devotees of his brand. 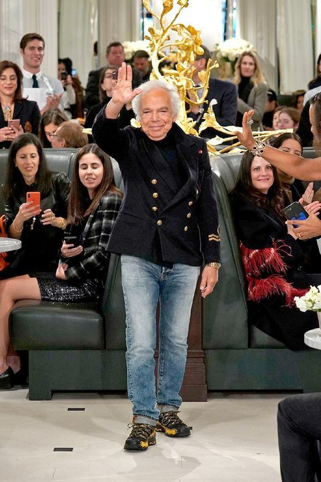 What did Ralph Lauren do to be fashionably different? He transformed his flagship Madison Avenue women’s store into “Ralph’s Café,” to showcase his latest collection. Models, sporting his fashion designs, sauntered through the café, moving from table to table while making eye contact with those editors, buyers and key influencers who were sipping their coffee and savoring croissants claimed to be the envy of a Parisian baker. WOW, that’s different! What does it mean to be fashionably different? It’s not about being different for difference sake. It’s about creating relevant, meaningful differentiation versus our competition to drive incremental sales. The target-customer is the final arbiter regarding whether we are being fashionably different. Will Ralph’s Café lead to incremental growth for the Ralph Lauren Corporation? Time will tell. We do know that he has made his collection of fashions immediately available for purchase, rather than customers needing to wait some six months as typically the case with many of the high-fashion designers. So, in this regard, he has a jump on the competition. Also, Mr. Lauren will keep the Café so as to make his store a destination. What’s the point of this marketing musing? Well, we tend to do the same things in the same ways as our competitors. Don’t we? Neither of which serves to differentiate our brands. And we tend to do things because we’ve always done them, and that’s just the way we do it around here! Yes, this is what many marketers do. Even when it doesn’t make sense to do it. Or do it that way. Or, you can’t make a case for doing it. Perhaps, we can learn from Ralph Lauren and take inspiration in his courage to be fashionably different.